Steven Ballmer is Chief Executive Officer of Microsoft Corporation, the world’s leading manufacturer of software for personal and business computing. 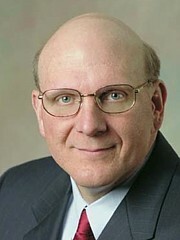 Ballmer joined Microsoft in 1980 and was the first business manager hired by Bill Gates. Since then, Ballmer’s leadership and passion have become hallmarks of his tenure at the company. Ballmer and the company’s business and technical leaders are focused on continuing Microsoft’s innovation and leadership across the company’s core businesses. Microsoft’s goal is to provide an integrated platform to enable a seamless experience across a wide range of computing and non-PC devices and services. Variously described as ebullient, focused, funny, passionate, sincere, hard-charging and dynamic, Ballmer has infused Microsoft with his own brand of energetic leadership, vision, and spirit over the years. He graduated from Harvard University with a bachelor’s degree in mathematics and economics. While in college, Ballmer managed the football team, worked on the Harvard Crimson newspaper as well as the university literary magazine, and lived down the hall from fellow sophomore Bill Gates. After college, he worked for two years at Procter & Gamble Co. as an assistant product manager and, before joining Microsoft, attended Stanford University Graduate School of Business. 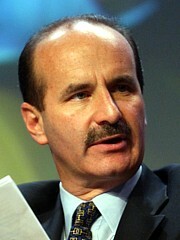 José María Figueres After a successful business career, José María Figueres was elected President of Costa Rica at the age of 39. As President (1994–1998), he created a comprehensive national development strategy based on the tenets of sustainability: sound economics, investment in human development, and a strong alliance with nature. He pioneered the linkage between sustainable development and technology, work which he continued after leaving government by helping to create and then lead the United Nations ICT Task Force as its first Chair. He was the first to be named CEO of the World Economic Forum, where he strengthened global corporate ties to social and governmental sectors by identifying common long-term interests. Currently President Figueres is CEO of Concordia21 in Spain, dedicated to supporting organizations that promote development and democratic values around the world. He serves as Chairman of the Carbon War Room, dedicated to implementing entrepreneurial market-driven solutions that mitigate climate change. He is also Chairman of the Advisory Board of Arcano Earth Fund, investing in key areas of the low-carbon economy. He holds an Engineering Degree from the U.S. Military Academy at West Point, and a Masters in Public Administration from the Kennedy School of Government at Harvard University. Andrew Harrison is Communications Director of Idea Connections Systems, overseeing all aspects of client relationship management, marketing, media, and community activities. Andrew has a unique background as a social innovator and researcher on human motivation. In 2004, he turned in his graduate degree and high-paying sales job to travel the country interviewing people about how they came to find passion for their work and life. Andrew’s study of the human element now spans over 150 interviews with a diverse group of achievers and leaders. His interview experiences have been featured in newspapers, magazines, TV and radio across the United States. His first book, Love your 84,000 Hours at Work: Stories on the Road from People with Purpose and Passion, was released in July 2010. As an understudy to Bob Rosenfeld for the past two and a half years, Andrew delivers keynote presentations and leads workshops on the principles that make innovation happen inside organizations. He is also the writer of the forthcoming book, Innovation Unshackled: A Practical Guide for the Human Dynamics of Innovation, which will be available in 2010. He received a B.A. in Writing from the University of Arkansas at Little Rock and an M.A. in Mass Communication and Advertising from the University of South Carolina. Pamela Hartigan is Director of the Skoll Centre for Social Entrepreneurship at Oxford University’s Saïd Business School and Adjunct Professor at the Columbia Business School. She is a founding partner of Volans Ventures, an organization focused on building innovative scalable solutions to challenges affecting our future. 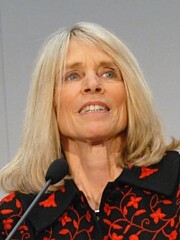 From 2000 to 2008, she was the first Managing Director of the Schwab Foundation for Social Entrepreneurship, a sister organization of the World Economic Forum. Throughout her career, she has held varied leadership positions in multilateral health organizations and educational institutions as well as in entrepreneurial non-profits. She has been responsible for conceptualizing and creating new organizations, departments or programs across a variety institutional arrangements and multi-stakeholder platforms. She is currently a Trustee for different social ventures that operate around the world. Dr. Hartigan’s latest book, co-authored with John Elkington, is entitled The Power of Unreasonable People: How Entrepreneurs Create Markets to Change the World and was released in 2008 by Harvard Business Press. A graduate of Georgetown University’s School of Foreign Service in Washington, D.C., she holds an M.A. in Economics and Public Health and a Ph.D. in Cognitive Psychology. 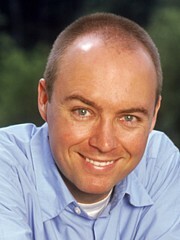 Björn Johnson is Senior Associate Professor and Reader in economics at Aalborg University in Denmark. His earlier research dealt with regional aspects of consumer behavior, comparative economic systems, and comparative analysis of strategies in economic policy. His current research is in the field of institutional economics with a focus on systems of innovation and the relations between technical and institutional change. Björn Johnson has been working on innovation systems from the very birth of this concept. He has played an important role in the development of the Aalborg version of the system of innovation approach based on broadly based interactive learning. As leader of a long-term project on the development of research capacities in Central America financed by the Danish Ministry of Foreign Affairs, he has also worked with the innovation system concept in the context of developing countries. He has published articles and presented conference papers on innovation and innovation systems individually and together with such leaders in the field as Bengt-Åke Lundvall and Charles Edquist. 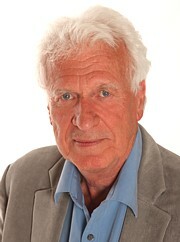 Dr. Johnson received his Ph.D. in economics at the University of Gothenburg in 1971. William Kerr is Associate Professor at the Harvard Business School, where he teaches the Entrepreneurial Manager course in the first year of the MBA program and in the HBS doctoral program and executive education offerings. He was designated the HBS MBA Class of 1961 Fellow, received Harvard’s Distinction in Teaching award, and a Kauffman Junior Faculty Fellowship award in Entrepreneurship Research in 2009. Dr. Kerr’s research focuses on entrepreneurship and innovation. One research strand examines the role of immigrant scientists and entrepreneurs in US technology development and commercialization, as well as the subsequent diffusion of new innovations to the immigrants’ home countries. A second research area considers agglomeration and entrepreneurship, with special interest in how government policies aid or hinder the entry of new firms and cluster formation. A final interest area is entrepreneurial finance and angel investments. He is a Faculty Research Fellow of the National Bureau of Economic Research (Productivity, Entrepreneurship), the Innovation Policy and the Economy Forum, and the Center for Economic Studies. He serves on the Entrepreneurial Finance roundtable of the Massachusetts Technology Leadership Council and the National Science Foundation’s Expert Panel for Science and Engineering Human Resources. Dr. Kerr has worked with firms worldwide Past projects include business plan development for start-up ventures in Hong Kong, establishing a corporate entrepreneurship and corporate venture capital unit within a Korean chaebol, and evaluating the acquisition of early-stage communications companies for a US multinational entering the Asian market. He also advised the governments of South Africa and Singapore on the economic benefits from telecom market deregulation. He received his B.S. in Systems Engineering from the University of Virginia and his Ph.D. in Economics from MIT. 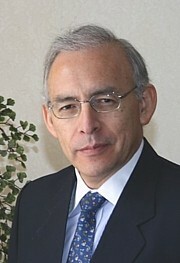 Augusto López-Claros is honorary professor at the European Business School in Frankfurt. He is also the founder of EFD–Global Consulting Network, an international consultancy specializing in economic, financial, and development issues. From 2003 to 2006, he was Chief Economist and Director of the Global Competitiveness Program at the World Economic Forum in Geneva, where he led the effort to expand the international profile of the Forum’s work on issues of economic growth and productivity. At the Forum, he served as Editor of the Forum’s Global Competitiveness Report and a number of other publications exploring issues of growth and development in various regions of the world and the impact of innovation, technology, and gender on economic growth. Before joining the Forum, he was Executive Director and Senior International Economist with Lehman Brothers International (London), and Resident Representative of the International Monetary Fund in the Russian Federation (Moscow) from 1992 to 1995. Prior to joining the IMF, he was Professor of Economics at the University of Chile in Santiago. 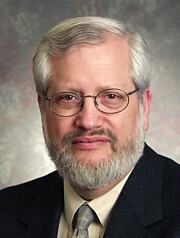 He has written and lectured extensively in the United States, Europe, Latin America, Africa, and Asia on a broad range of subjects, including aspects of economic reform in transition economies, economic integration, the role of technology and innovation in advancing the development process, interdependence and cooperation, governance, gender, and the role of international organizations. Dr. López-Claros received his Ph.D. in Economics from Duke University and a diploma in Mathematical Statistics from Cambridge University. 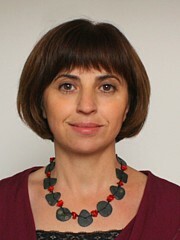 Yasmina N. Mata is a Consultant with EFD–Global Consulting Network, formerly a researcher with the Center for Biological Research (CIB), which forms part of the National Research Council, in Madrid. She collaborates with the Extractive Metallurgy Research Group of Complutense University. Dr. Mata is an independent consultant, offering scientific, academic, and research knowledge in areas of innovation not traditionally linked to natural sciences, and bridging different scientific and academic disciplines. She has published a number of papers in specialized journals about the biosorption processes of heavy and precious metals with biomass. She received two undergraduate degrees in Biology and a Ph.D. in Science from Complutense University. Robert "Bob" Rosenfeld is the President and CEO of Idea Connection Systems, Inc. With a background in chemistry from Drake University, he has been a leader and practitioner for over 40 years in the human dynamics that make innovation happen inside organizations. At Eastman Kodak, in 1978, he created the first Office of Innovation ever to be successfully implemented in Corporate America. In 1985, Bob co-founded the Association for Managers of Innovation. In 2001, after working with many diverse people and organizations, he directed the development of an innovative process for breaking down barriers between races. Called “Mosaic Partnerships,” it has been implemented in many cities in the United States. Because of Bob’s innovation experience, in May 2006, he was named the Center for Creative Leadership’s first “Innovator in Residence,” and in 2008, he was awarded Innovator in Residence Emeritus status. Bob is the author of Making the Invisible Visible: The Human Principles for Sustaining Innovation (2006). His second book, co-authored with Gary Wilhelmi and Andrew Harrison is titled, Innovation Unshackled: A Practical Guide for the Human Dynamics of Innovation, and will be available in 2010. In 2008, Bob spearheaded an ICS team in the creation of the ISPI™ (Innovation Strengths Preference Indicator), an innovation tool used to highlight peoples’ preferences for innovating as well as how they prefer to innovate with others. Mahmud Samandari is a coach for startups at the Swiss Federal Commission for Technology and Innovation. He is also the CEO of InnovaRadio, a company that develops technology for energy efficiency solutions for the wireless industry. 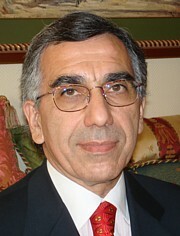 He is a founder of the European Baha’i Business Forum and a member of its Board. He is a serial entrepreneur, having started companies in the fields of IT, telecommunications, and education both in Europe and Latin America. Globatel, a company he established in 1998, was a pioneer in satellite-based interactive distance learning, collaborating closely with the World Bank’s Global Development Learning Network. Globatel was also an active participant in Micronet, a project jointly prepared, promoted and set up with the World Bank, the Ecuadorian government, Microsoft, and Finca Internacional for the promotion of microenterprises. As the Member of the Board of various institutions and corporations, Dr. Samandari has been involved with activities ranging from cable TV, banking software and telecommunications trade association, to schools, radio stations, and the Alliance Française, as well as a corporate social responsibility industry group, and the world’s largest student-run organization: AIESEC, an international platform for young people to explore and develop their positive leadership potential. He participated actively in consultations with the telecom regulator of Ecuador on new legislation. 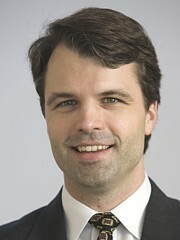 His thesis on the obligation of states to cooperate with international organizations earned him a Ph.D. in International Law from the Graduate Institute for International Studies of Geneva. Hulya Ulku is a Lecturer in Development Economics at the Institute for Development Policy and Management (IDPM), University of Manchester, UK, where she co-directs the M.Sc. Program in Development Economics and Policy (DEP). She teaches courses in macroeconomics, and trade theory and development to Master’s students in development economics. She holds a B.Sc. in Public Finance from Gazi University, Turkey, and an M.Sc. and Ph.D. in Economics from the International Business School at Brandeis University, USA. She wrote her doctoral thesis as three essays on R&D, Invention, and Economic Growth in OECD countries. Upon completing her Ph.D., she worked at the Macroeconomic Studies Division of the Research Department at the International Monetary Fund for one year, before starting her academic career at the University of Manchester in 2003. 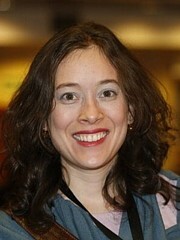 Her research focuses on the analysis of the determinants of technological change and its impact on economic growth in developing and developed countries, and the determinants and consequence in developing countries of foreign financial flows, such as foreign aid, remittances, and foreign direct investment. 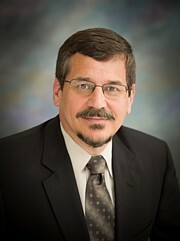 Gary Wilhelmi is Vice President of Idea Connection Systems. For over 30 years, he has been involved with the development of successful new innovations as both engineer and manager. He has developed a number of successful approaches and unique tools to allow organizations and individuals to understand those invisible attributes within an organization, which ultimately become either key drivers or inhibitors of successful innovation. As an electrical engineer at the McDonnell Aircraft Company, Gary recognized the importance of identifying and understanding the visible and invisible patterns within organizations, and how the interactions between business, technology and people can be leveraged to allow new ideas to become successful innovations. At ITT Electro-Optics Products Division, he successfully directed the development and setup of the first operational fiber optic system installed at the National Security Agency’s Headquarters in Fort Meade, Maryland, and in subsequent systems around the world. Gary later joined the Frito-Lay company, where he provided the technical leadership for several hundred millions of dollars of new product innovation. Gary’s experiences have provided him with unique insight into the dynamics of transforming new ideas into successful innovations, and resulted in Gary’s developing several proprietary tools for assessing an organization’s culture, level of trust, invisible decisionmaking process, and how well prior knowledge is leveraged (knowledge management). Gary is a co-author with Bob Rosenfeld of the forthcoming book, Innovation Unshackled: A Practical Guide for the Human Dynamics of Innovation, which will be available in 2010. He holds B.S. and M.S. degrees in Electrical Engineering from Texas A&M University.